Easy access to information and tools for effective organizational development and fundraising. Tools and guidelines for more effective fundraising and organizational development. Organizational Sessions will be available upon request. Established in 1971, Phillips & Associates is a professional management consulting firm specializing in organizational planning, financial planning, and fundraising counsel for not-for-profit institutions and organizations throughout the United States. The leadership of successful non-profit institutions understands that the prerequisites for securing gift and grant support include the ability to set forth carefully documented plans for the future; articulate a compelling “case” for funding expressed needs; and, actively and persuasively seek financial support. Phillips & Associates is dedicated to assisting clients in developing those fundamental fundraising prerequisites. "Phillips & Associates has shown exceptional consulting skills and solid professional judgment in aiding Loyola to embark on the School's largest and most successful campaign." "Phillips & Associates is a highly-valued member of our entire institutional development team. Their expertise combined with skills to motivate performance has been of extraordinary value in the Hospital's fundraising success." "I have run three non-profit organizations and lead two major capital campaigns that have raised millions of dollars. The very thoughtful fundraising plan that Gary Phillips and Helen Bechtolt from Phillips & Associates put together for Ford Theatre is right on target!" "We were very impressed with Phillips & Associates' wide-ranging expertise, their ability to understand our particular circumstances, and their willingness to address unforeseen issues that arose during the course of the assignment." "I would strongly recommend Phillips and Associates to any non-profit. They helped us plan a strategic path to successfully complete our first major capital campaign and walked us through the process very professionally. They also taught us tools to use after our contract with them ended so we are able to continue to strengthen our future fundraising capability." "With reductions and limitations in staffing we were challenged. Phillips & Associates stepped-in and immediately assisted us to move forward in our capital campaign strategy. They were an invaluable resource in a challenging time." 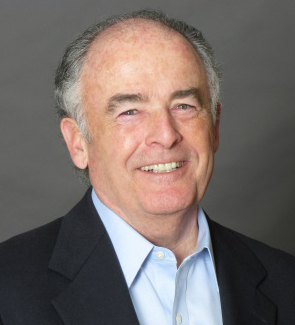 "Gary and Susie Pearce were terrific in helping us organize the Foundation's operations and governing board leadership following the death of the Founder's widow, bringing both their considerable organizational and motivational skills to bear." "I was particularly pleased with the Phillips' firm thoughtful approach to, and comprehensive conduct of Whitworth's Campaign Feasibility Study. 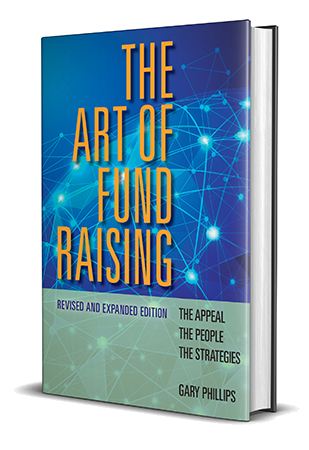 The results and recommendations from their Study have been most helpful in charting a fundraising course for the College over the next several years." "Phillips Associates was extraordinarily helpful in working with us - Trustees and senior staff alike - through the most thoughtful planning process for the first major capital campaign in the Smithsonian's history." "It was my pleasure to work together with Gary Phillips and his Associates in the origin, development, execution and completion of the largest private fundraising campaign in the history of this metropolitan area." "So much of the success of our campaign is the result of Phillips & Associates' wise counsel and encouragement. I know that we would not have been this successful without their guidance and participation on our team."